. يقدم Surfers Mayfair Apartments خدمات لا غبار عليها وكل أشكال اللياقة وحسن الضيافة اللازمة لإسعاد ضيوفه. تتضمن الميزات الرئيسية في هذا الفندق: تسجيل وصول/خروج سريع, تخزين الأمتعة, صف السيارات, التوصيل من وإلى المطار, رعاية أطفال. بالإضافة لهذا,تتضمن كل غرف الضيوف مجموعة واسعة من وسائل الراحة . بعض الغرف توفر حتى مسبح خاص, حوض الاسترخاء, غرف لغير المدخنين, مكيف هواء, شرفة/ تراس لإرضاء أكثر الضيوف تطلباً. يقدم الفندق العديد من الفرص للاستجمام كمثل حوض استحمام ساخن, ساونا, حمام سباحة خارجي, سبا, ملعب تنس. اكتشف مزيجاً ساحراً من الخدمة الاحترافية والخيارات الواسعة من وسائل الراحة والمتعة في Surfers Mayfair Apartments. 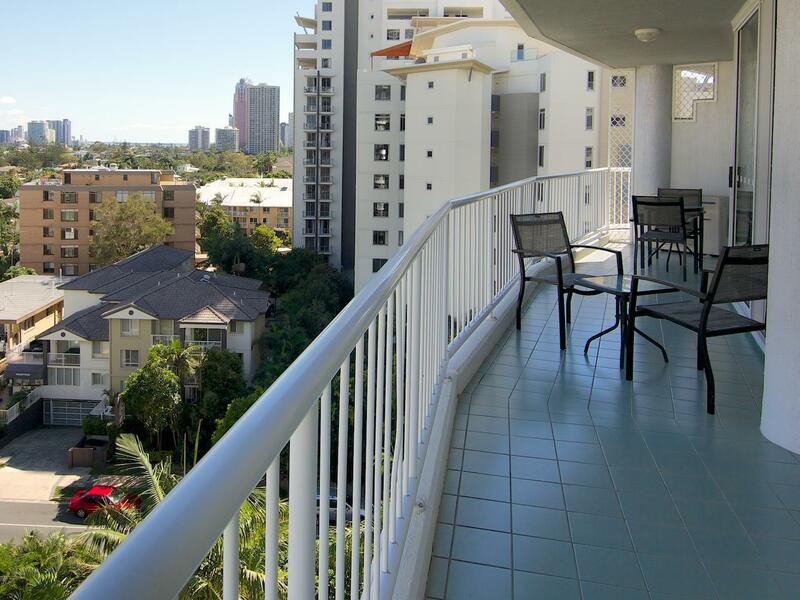 We had a wonderful GC holiday from 18 Dec to 25 Dec at Surfers Mayfair Apartments. Location is perfect for us. The 2-BR apartment suits us very well for us, 3 adults and one 2-year old. Room was clean and facilities were all good. We also had a secure parking at the Basement. Of course, there were also plenty 3-hour free street parking outside the apartment. About 10-min work to the Surfers Paradise Point is perfect for working out little one. Totally, this is a must-stay. Cannot wait our next holiday at GC. Easy walk to Beach, shops, clubs and other activities. Also public transport is close by for if wanting to adventure further. Great location, staff very helpful and friendly. 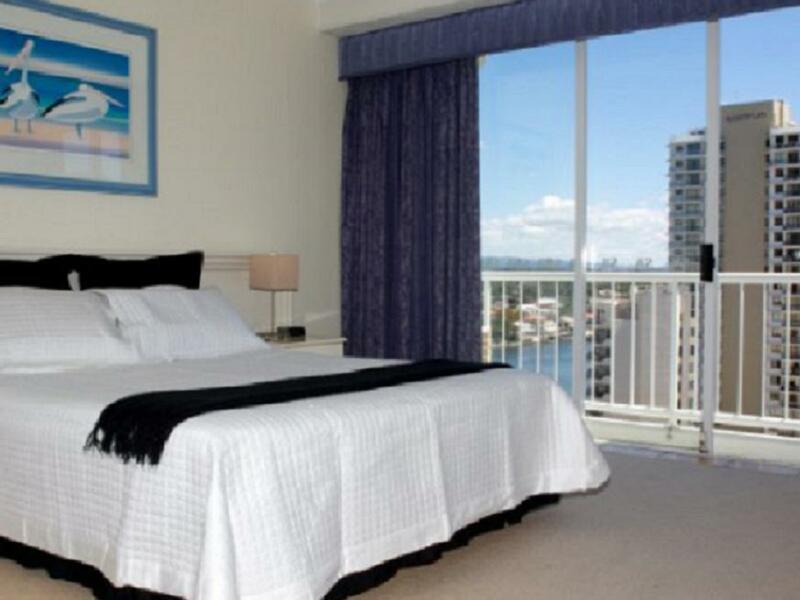 We have been coming regularly to Surfers Paradise since 1994, we have stayed at various locations by each time we seem to return to our favorite 'Surfers Mayfair', its rooms are much bigger the area is much quieter, yet close enough to all the activities. The building is getting a bit older and some of the inventories maybe a bit old. But like a vintage Rolls Royce, still very comfortable. good location but the apt is a big old.. Apartment located a short walk to the beachfront. A little old but comfortable. Coles and eateries nearby. Wonderful view of the city at night! A good unit with lots of space. Could do with an upgrade of the tv's to LCD. Some minor maintenance of a leaking tap, broken tap handle and toilet seat needs to be done, but these are minor things. we would return to this unit. Overall is good, just one drawback is during winter it is very cold inside the bedroom, the heater is in living room only. Love the location and spaciousness. Great view. Second bedroom only has a pedestal fan though.